This weekend’s big box office take for Disney’s animated comedy Wreck-It Ralph is a clear indication that audiences ate up the video game-inspired feature, reviews comparing it to the heartfelt work from sister company Pixar. The existential journey of the titular character, the villain of a Donkey Kong-esque arcade game Fix-It Felix, balances its adventure with video game references and character cameos — the story is its own beast, but founded on decades of well-known games. On the surface, the movie sports an immersive world. Behind the scenes, it was a legal triathalon. 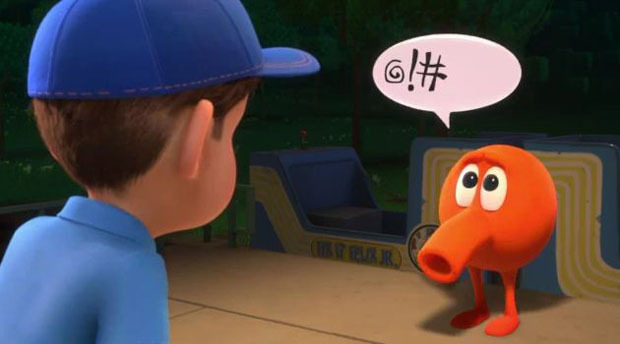 Spencer and Moore’s version of Wreck-It Ralph was the final incarnation of a movie that has been development at Disney since the ’90s, where it originated as Joe Jump and evolved by the mid-2000s into Reboot Ralph. When Moore finally stepped in to the process, the movie began to take shape. In 2010, it finally came time for Spencer and Moore to embark on their mission to assemble a cameo-filled ensemble for Wreck-It Ralph. To get the job done, the duo headed to E3, the annual Electronic Entertainment Expo where companies and industry players show off the latest and greatest in video games. Spencer and Moore hit up the convention to pitch the film to majors like Nintendo and SEGA. Luckily, the movie had been in development long enough that their song and dance was more than just a well-planned sales pitch. To best compliment the impressive mosaic of gaming characters, Spencer turned to a master of mash-ups “When it comes to Hero’s Duty (the movie’s fictional first-person shooter), we wanted it to feel modern. The natural inclination was to go to heavy metal, because that felt like what might exist. But Tom [MacDougall, music supervisor], to his credit, said we should go even more modern. Electronic dubstep — and Skrillex is the hottest out there.” The breakout DJ may not be a likely collaborator for a Disney movie, but turns out, he’s a big fan. “He loves the movie Tangled,” says Spencer.